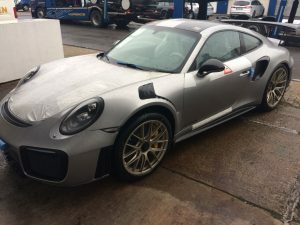 PORSCHE 911 TURBO X50 LHD. First registered in Germany in October 1996. Only one recorded keeper who kept the car until 2014. Only 46,512 miles from new. 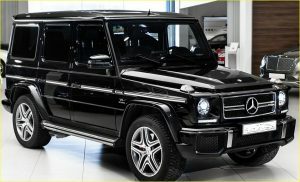 Left hand drive. This car is a full spec factory X50, so it has the factory fitted 450bhp engine with the X54 slash cut factory sports exhaust. 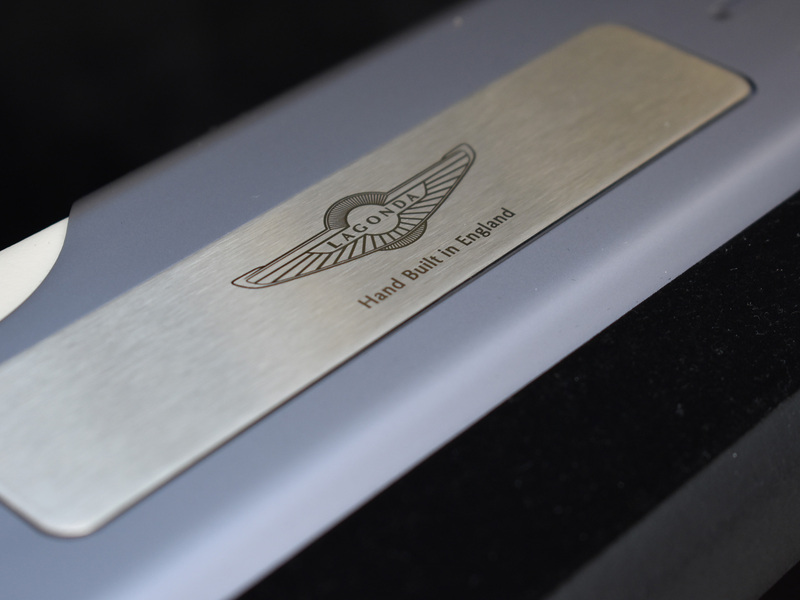 Full options are still on the label under the bonnet. XLC – K24 Turbos inc. adapted ECU for 993 Turbo S.
X54 for the slash cut performance oval chrome exhaust pipes. 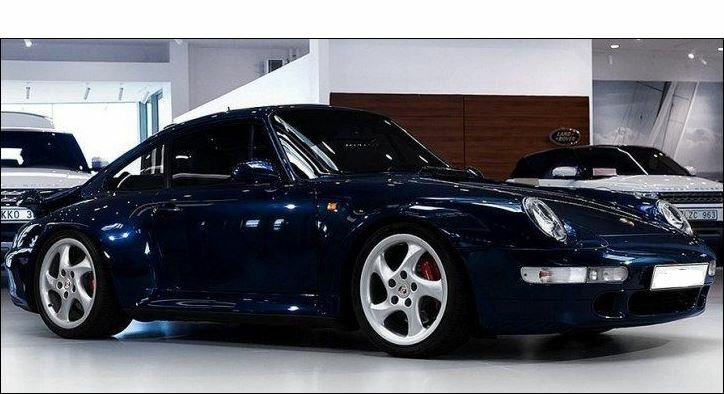 Finished in Ocean blue metallic, this Turbo looks sensational. 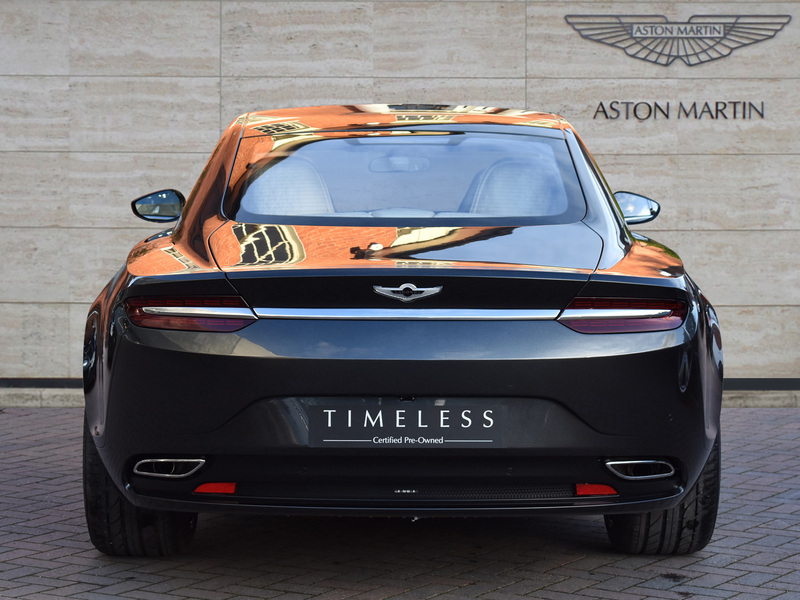 The paint work is exceptional . 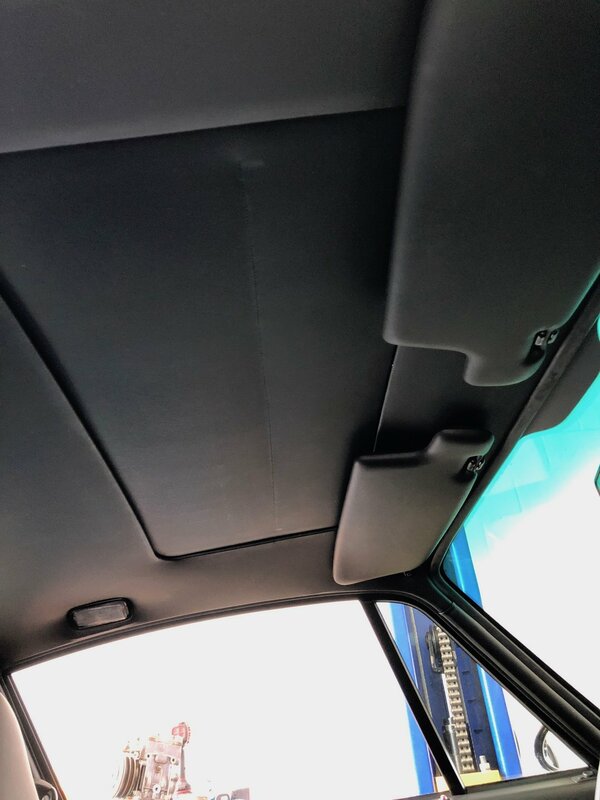 Ownership has clearly been fastidious and it appears the car has been dry stored throughout its life with a clean underside, and a near new factory quality finish across lights, glass, rubbers and plastics. 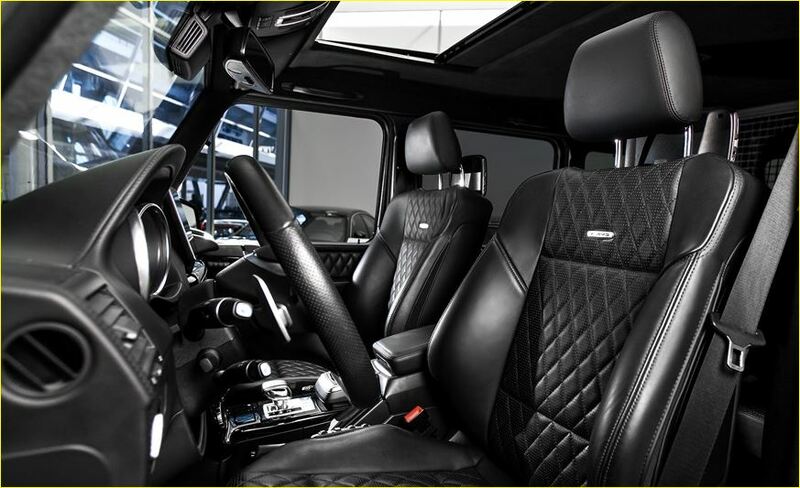 The cabin is covered with soft black leather, extending to the dashboard and door panels. 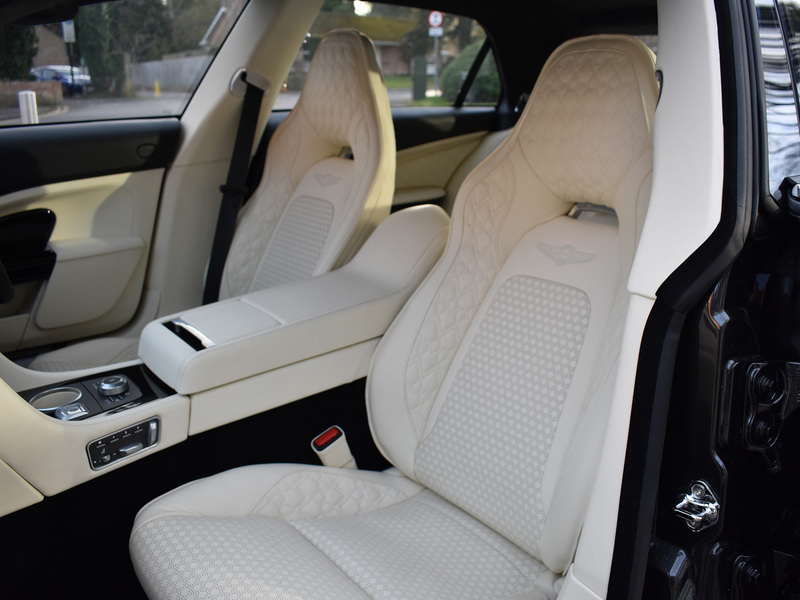 Both front seats are in excellent order, they are heated with 8-way electrical operation for maximum comfort control. All the controls retains a fresh texture and operate as they should. Under the bonnet the options sticker still remains, with all tools still present beneath the front carpet. 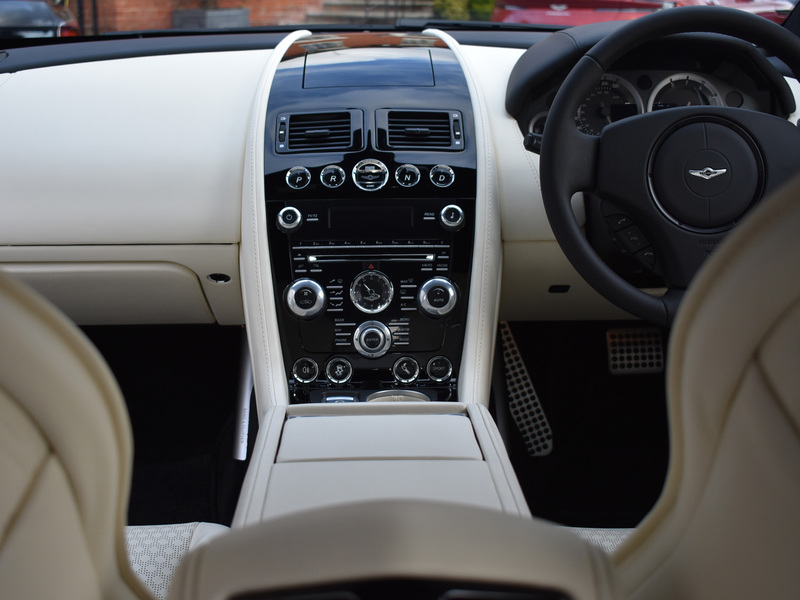 The engine compartment and underside are notably clean, leaving no doubt that this example has been very well maintained and stored throughout its life. 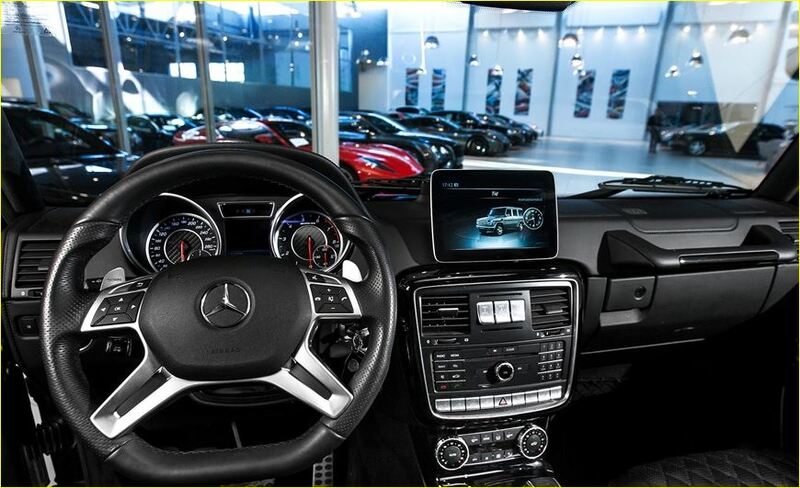 The flat-six Turbo provides a huge rush of acceleration, completing the 0-60 dash in a mere 3.4 seconds. 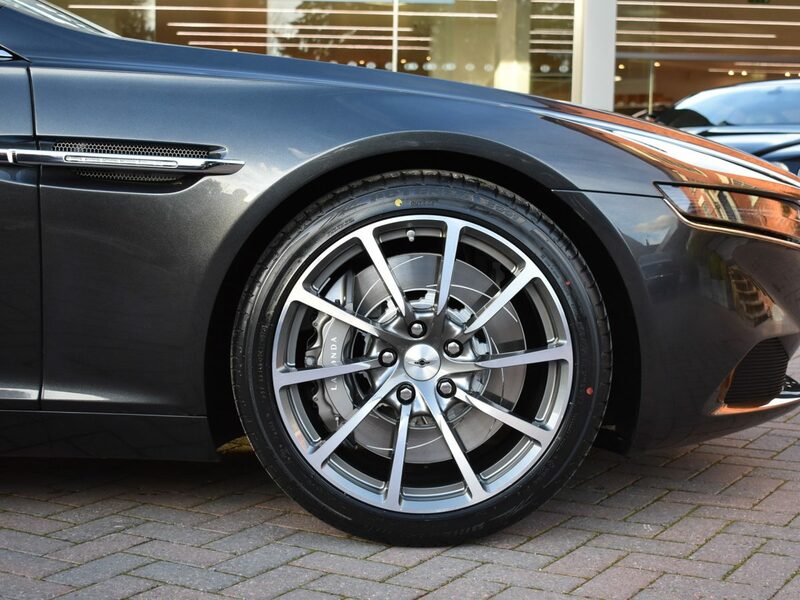 All of the alloys are in excellent condition and are shod in a matching set of Michelin Pilot Sport tyres, which have plenty of tread remaining. The red Porsche calipers are immaculate, and the discs and pads only show minimal wear. 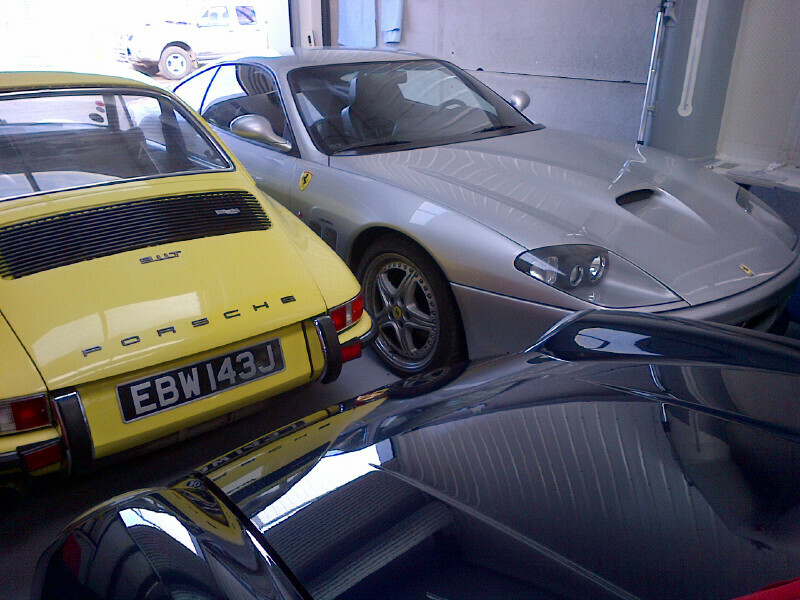 Supplied new in October 1996 this very high spec LHD Turbo has been very well maintained. The 993 Turbo coupé was introduced in 1995. It featured a new twin turbocharged engine displacing 3.6 liters and generating a maximum power output of 408 PS (300 kW; 402 hp). Air-to-air intercoolers, electronic engine management, redesigned cylinder heads and other modified engine internals completed the new engine. 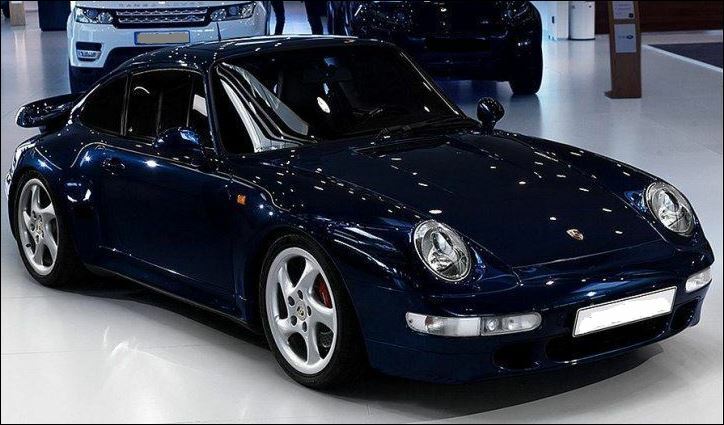 The 993 Turbo was the first 911 Turbo with all wheels drive, taken from the 959 flagship model. The electronic engine management helped the Turbo to achieve fuel efficiency far superior to its predecessors. 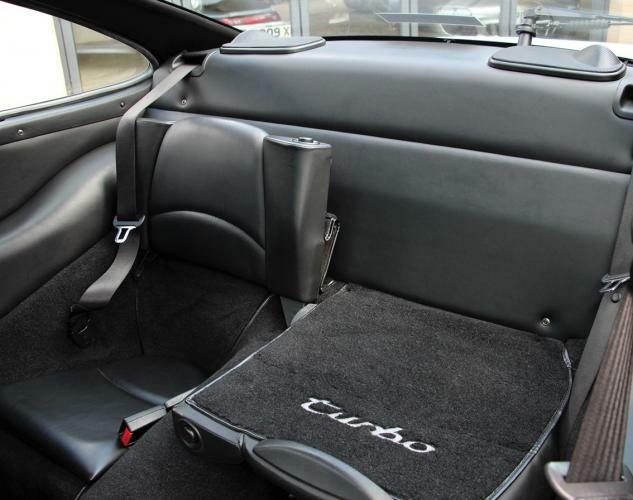 In connection with two catalytic converters and an on-board-diagnostics-system including four oxygen-sensors, the 993 Turbo was the cleanest sports car of its time. The Turbo’s bodywork differs from the Carrera by widened rear wheel arches (approximately 6 cm), redesigned front and rear bumper moldings, and a fixed “whale tail” rear wing housing the intercoolers. New 18 in (460 mm) alloy wheels with hollow spokes were standard. 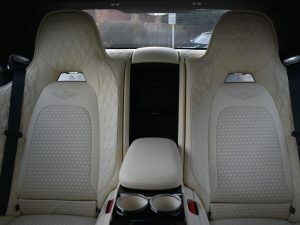 The factory X50 pack increased the performance of the engine to 450bhp. 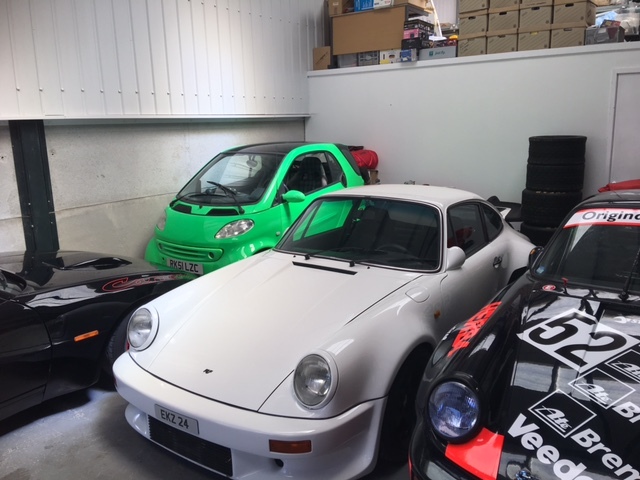 The 993 Turbo was one of the first production cars in the world to have OBDII disagnostics system. 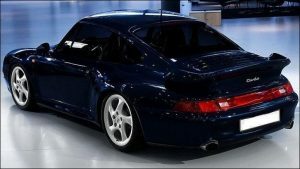 (the 3.8-litre and GT versions didn’t have that system, and the normally aspirated 993 variants didn’t get it until 1996 model year). The successors of the 993 Turbo since have had water-cooled heads. 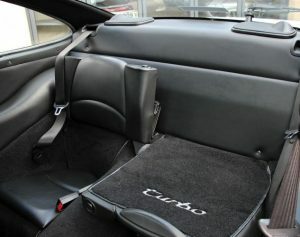 The car also had brakes that were larger than those on the base Carrera model. 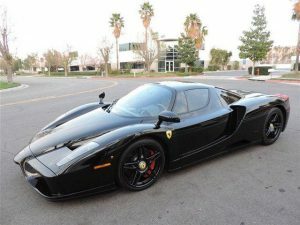 FERRARI ENZO – First registered in March 2004 and only two owners from new. 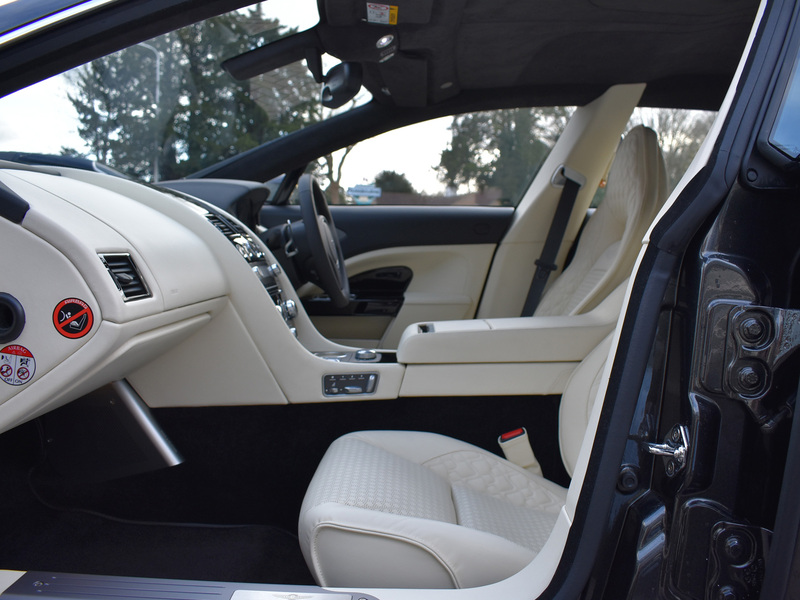 Nero black metallic with black leather interior piped in red. Full service history with two owners and only 12,912kms from new. Black wheels with yellow brake calipers. Full Ferrari service history. All books and tools. EU car with taxes paid. The Enzo Ferrari (also unofficially referred to as the Ferrari Enzo) is a a 12 cylinder mid enngine sports car named after the company’s founder, Enzo Ferrari It was built in 2002 using Formula 1 technology, such as a carbon fibre body, F1-style electro hydraulic gear shift transmission, and carbon fibre reinforced silica carbide (C/SiC) ceramic composite disc brakes. Also used are technologies not allowed in F1 such as active aerodynamics and traction control. The Enzo Ferrari generates incredibly high amounts of downforce which is achieved by the front underbody flaps, the small adjustable rear spoiler and the rear diffuser working in conjunction, 3363 newtons (756 pounds force) is generated at 124 mph (200 km/h) 7602 Newtons (1709 pounds force) is attained at 186 mph (299 km/h) before decreasing to 5738 Newtons (1290 pounds force) at top speed. The Enzo’s F140B V12 engine was the first of a new generation for Ferrari. 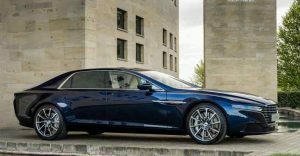 It is based on the design of the V8 engine found in the Maserati Quattroporte, using the same basic design and 104 mm (4.1 in) bore spacing. 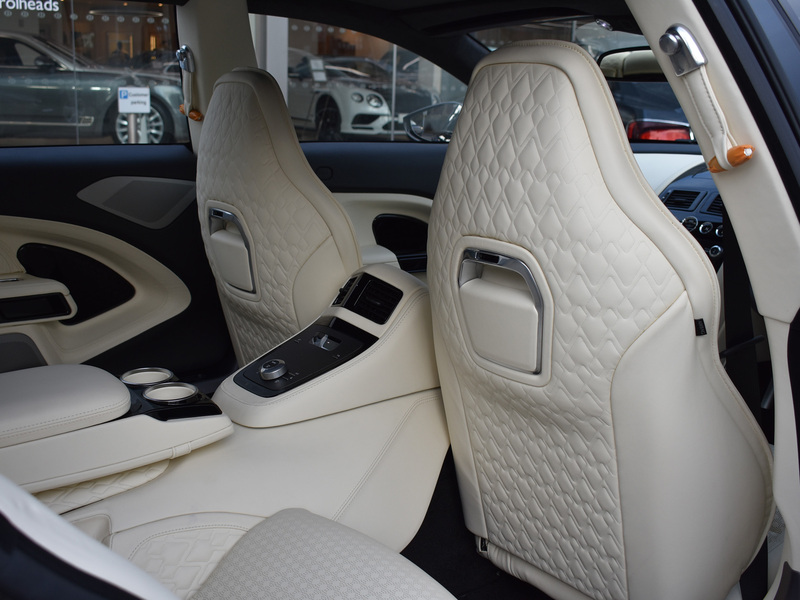 This design replaced the former architectures seen in V12 and V8 engines used in most other contemporary Ferraris. The 2005 F430 is the second Ferrari to get a version of this new powerplant. Ferrari developed the Ferrari FXX Corse Cliente from this car. 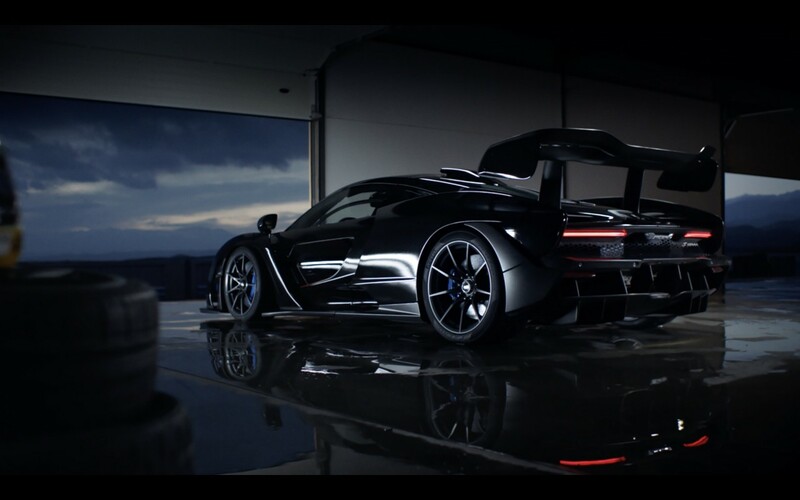 New McLaren P15 Senna. 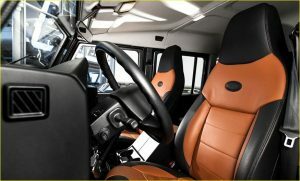 Specification yet to be confirmed, so you can choose your options preference – colour / interior / MSO etc.. 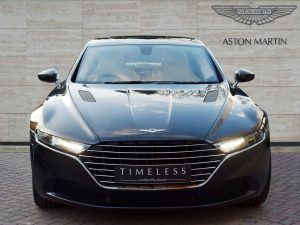 Early delivery car UK or Euro. 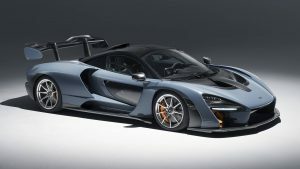 New P15 Senna GTR also available. This is the track only version which may be possible to convert for road use, subject to regulations of country of destination. McLaren’s main focus, while designing the Senna was to achieve faster lap times. In order to do so, McLaren developed a lightweight design that incorporated many aerodynamic elements. 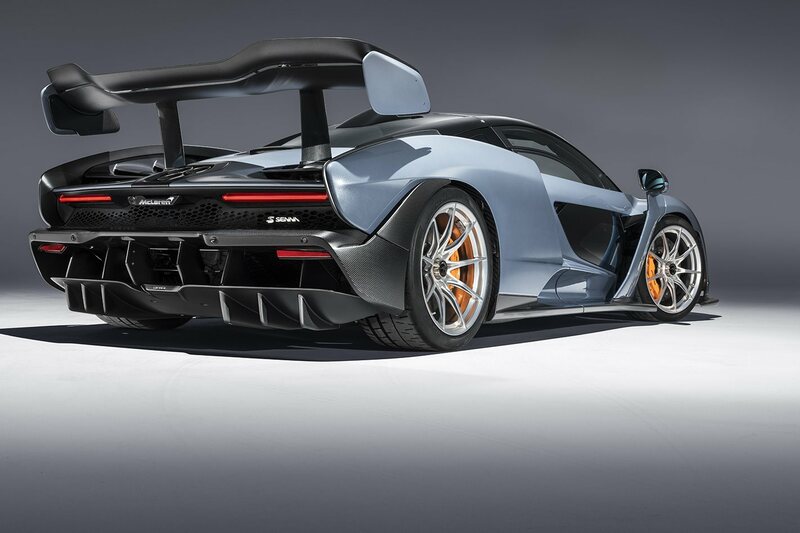 The McLaren P15 Senna is largely based on the McLaren 720S, using a modified version of its carbon fibre monocoque and twin-turbocharged engine. 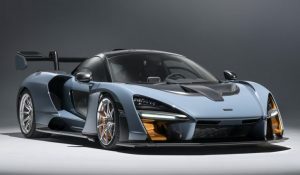 The Senna is powered by an uprated version of the 720S’ 4.0-litre twin turbo V8 dubbed the M840TR. 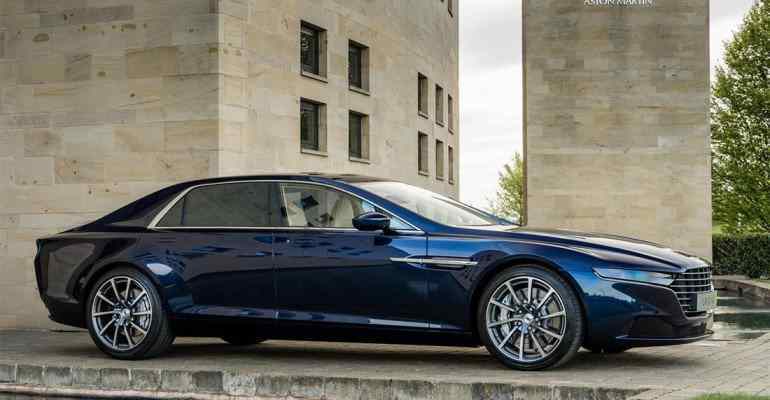 It uses a seven-speed dual clutch transmission that delivers all 800 PS (588 kW; 789 hp) and 590 lb⋅ft (800 N⋅m) to the rear wheels. 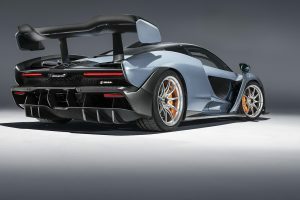 Unlike the previous offering in the Ultimate Series, the P1, the Senna does not use an electric motor in favour of its low dry weight of 1,198 kg (2,641 lb), which allows for a power to weight ratio of 658 hp (491 kW; 667 PS) per ton. Seriously powerful. 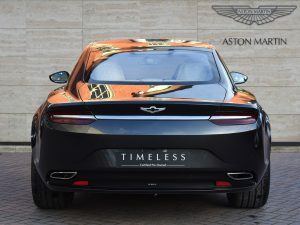 Carbon fibre aerodynamic pieces constitute the car, with a large double-element rear wing, double-element diffuser, F1 -inspired roof scoop, front and side air intakes, rear air louvres, and large front fenders. 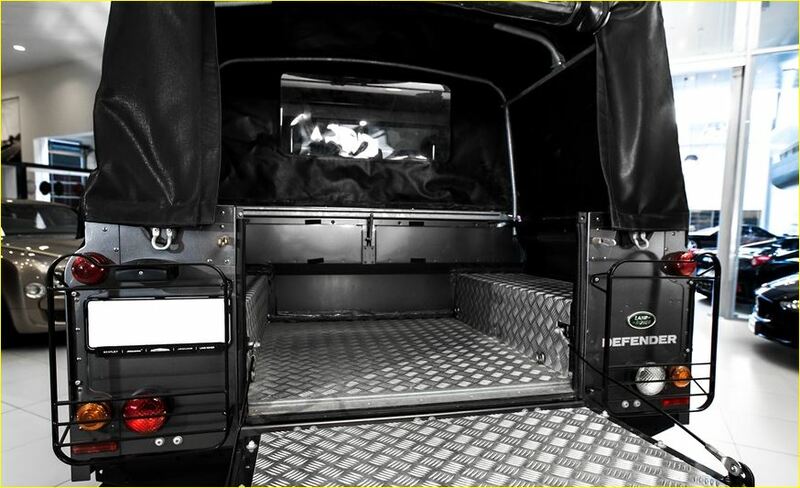 Inside a panel beside the intakes is a small set of mini-canards. Areas of low pressure are accompanied using high-performance radiators. The car uses dihedral doors, like the other previous models in the Ultimate Series, and also has optional windows applied on the lower area of its doors. The Senna uses a brand-new generation of Brembo carbon ceramic brakes, containing a new compound that has three and a half times better thermal conductivity than before, making the brakes smaller and lighter. It also features a new set of central-locking alloy wheels designed for Pirelli P-Zero Trofeo R tires. Its central design is a new generation of McLaren’s monocoque named MonoCage III, which contributes to the car’s dry weight.The interior largely comprised of exposed carbon fibre, with seats that can be upholstered in alcantara or leather, depending on the customer’s preference. 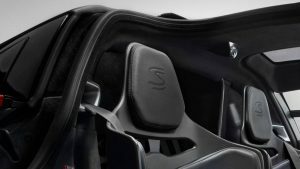 Behind the two seats is room large enough for two helmets and race suits, noting the car’s minimalist and track focused design. 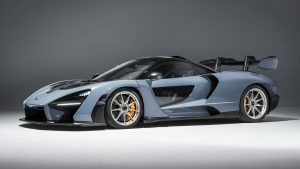 The car utilises McLaren’s hydraulic RaceActive Chassis Control II (RCC II) suspension along with double-wishbone control arms. 0–62 mph (0–100 km/h): 2.2 seconds. 0–124 mph (0–200 km/h): 6.8 seconds. 0–186 mph (0–299 km/h): 17.5 seconds. 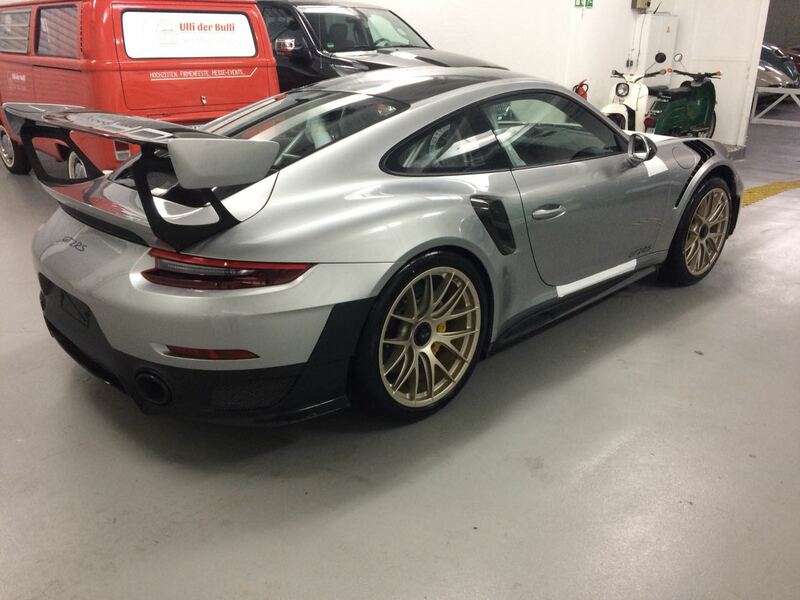 Top speed: 211 mph (340 km/h) (redline limited). Every car will be hand-built at the McLaren facility in Woking, UK. 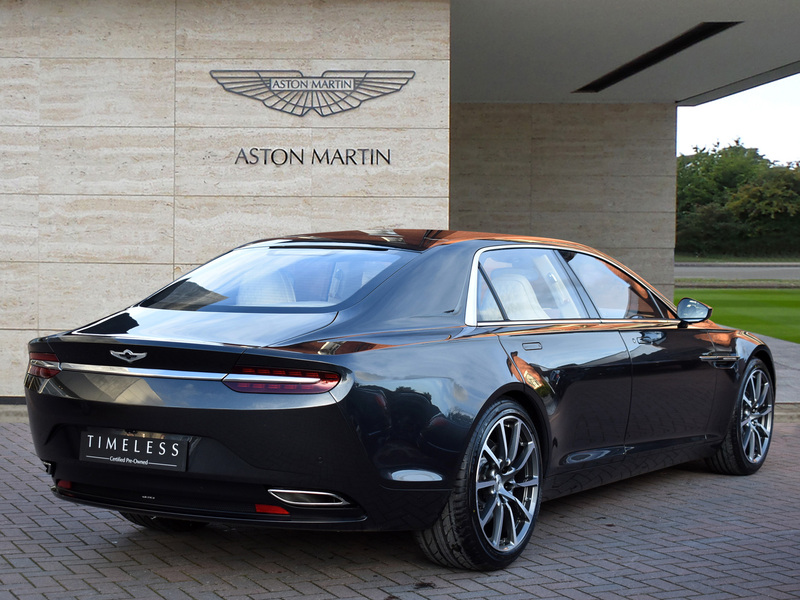 with a production run of just 500 units, all of which are already sold. 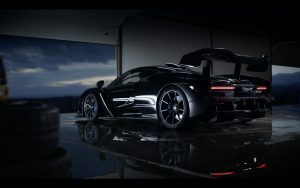 The McLaren Senna is listed at the price of £750,000 ($837,000) with the final car auctioned at a price of £1,916,793 ($2,670,000). 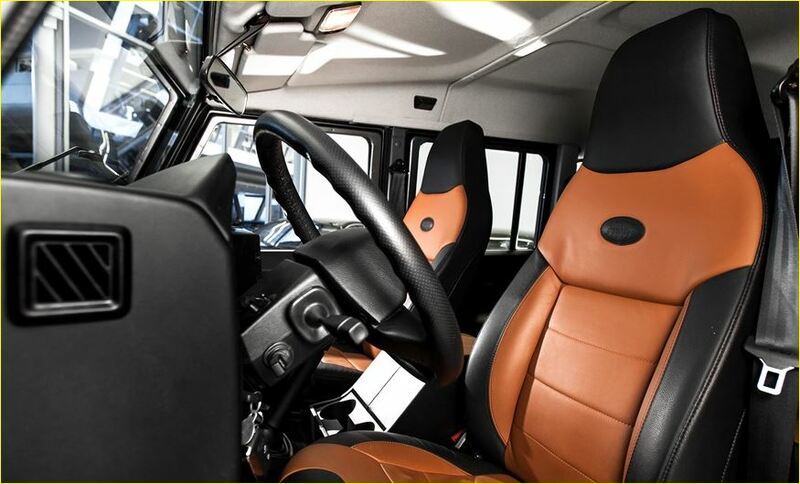 Deliveries are scheduled to begin in the third quarter of 2018. For further information, please email exesports@yahoo.co.uk or call call 07785 355 378 or from overseas + 44 7785 355 378. Leather steering wheel, Premium design leather with contrast Tan leather, Cubby box, Textile mat set, Radio with CD and Mp3 and Aux connection, Metallic paint, Electric tow hook connection, Footsteps on the sides and back, Screen widths painted in Santorini Black metallic, Gloss Black Sawtooth rims and additional spare wheel in the same design color. 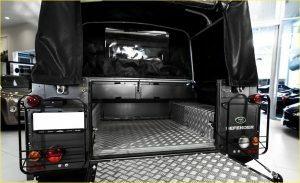 Lockable wheel nuts, Convenience Pack, Sprinkler, Cold Climate Pack, Electric lifts, Central locking with remote, Roof rack with side lights and side lights, Front and rear light gates, Snorkel, Aluminium guard panels on the windshields, winch. 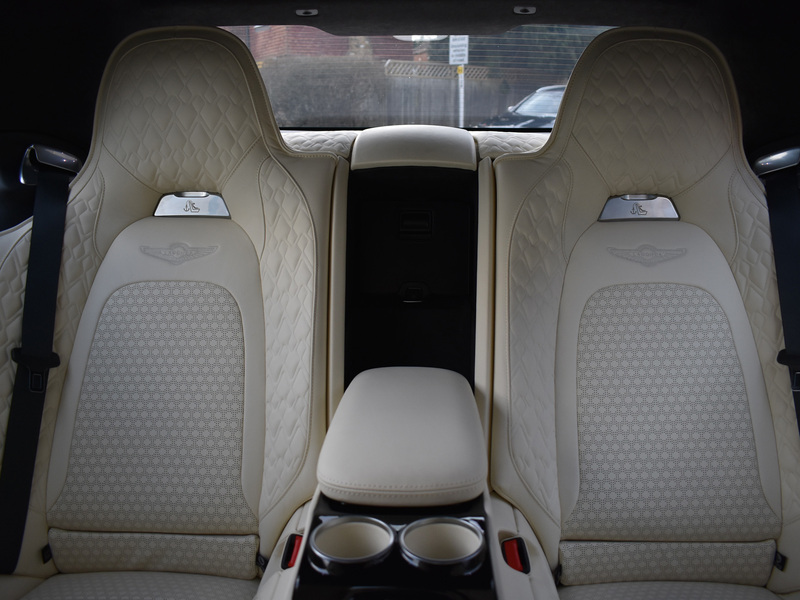 Exceptional condition and looks new. Not used off road. One owner from new. 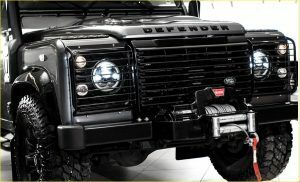 Production of the model now known as the Defender began in 1983 as the Land Rover 110, a name which reflected the 110-inch (2,800 mm) length of the wheelbase. 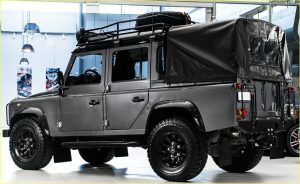 The Land Rover 90, with 93-inch (2,362 mm) wheelbase, and Land Rover 127, with 127-inch (3,226 mm) wheelbase, soon followed. The 110 was launched in 1983, and the 90 followed in 1984. 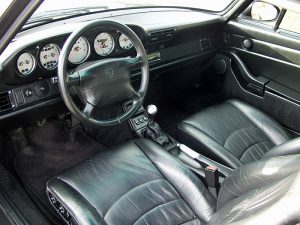 From 1984, wind-up windows were fitted (Series models and very early 110s had sliding panels), and a 2.5-litre (153 cu in), 68 horsepower (51 kW) diesel engine was introduced. This was based on the earlier 2.3-litre (140 cu in) engine, but had a more modern fuel-injection system as well as increased capacity. 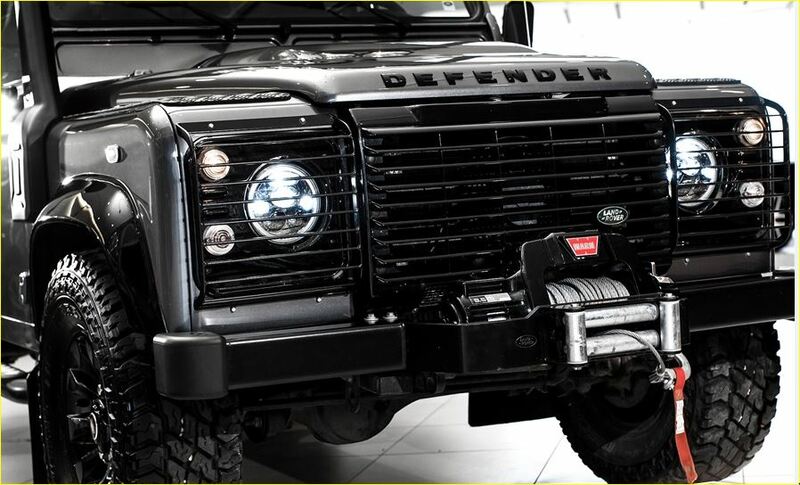 A low compression version of the 3.5-litre (214 cu in) V8 Range Rover engine transformed performance. 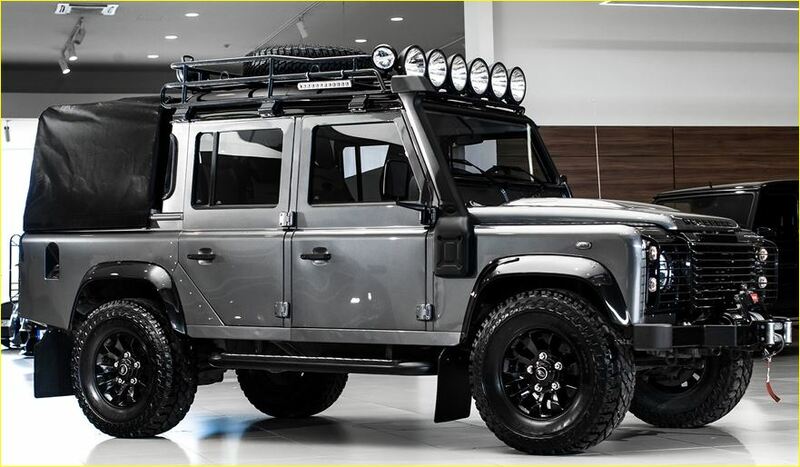 It was initially available in the 110 with a Range Rover LT95 four-speed transmission with integral transfer case and vacuum operated differential lock, then later in conjunction with a high strength “Santana” five-speed transmission. 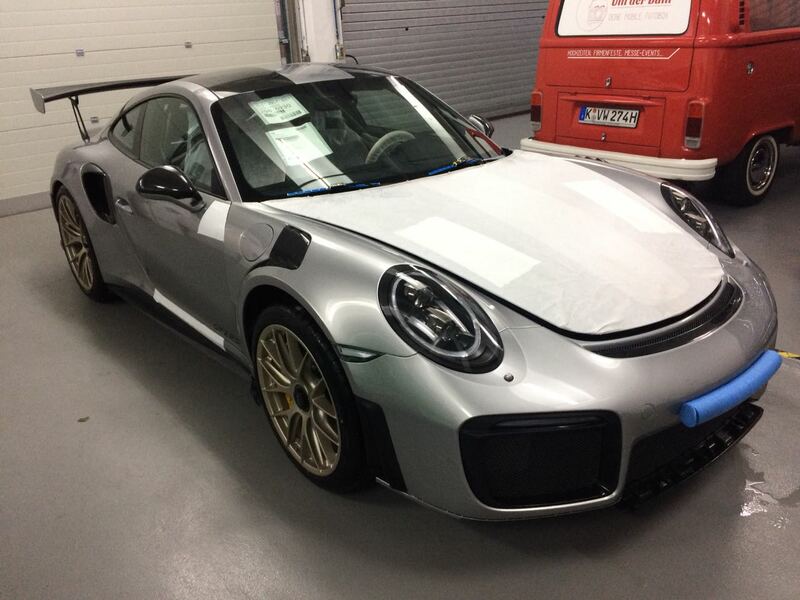 New 2018 Porsche GT2 RS due for delivery in to the official Porsche dealership by the end of March. This is a full spec Euro car finished in GT silver with black alcantara interior and left hand drive. GT silver metallic, black alcantara leather interior, Porsche dynamic lighting LEDs, Rear camera, Porsche exclusive carbon pack, Weissach package, Porsche PDK gearbox, lift system, Sport chrono pack, lap trigger, 90 litre tank, Bose sound system, rain sensor, light design pack, ClubSport pack. For more information, please call me on 07785 355 378 or +44 7785 355 378 from overseas. DUCATI 900SS Supersport first registered in October 1995, Racing red with bronze frame and 3 spoke alloy wheels, later 3 clock dash – speedo, tacho and temp, original UK bike with 20,000 miles from new. Last of the real Ducati family line. Recent cam belt service and 12 months MOT. 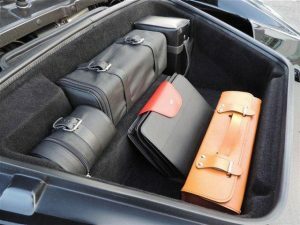 Original Ducati Warranty and Maintenance book, Owner’s manual and tool kit along with original passenger seat hump. All MOTs from 3 years old, many invoices supporting the service history. Four owners from new. Start it up to make you smile. 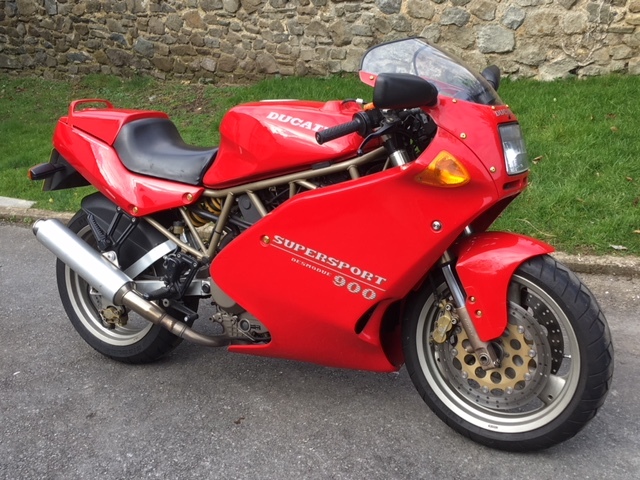 The 1991 Ducati 900SS Supersports were produced with white chrome molybdenum steel frames and white wheels. The swingarms used needle bearings instead of bushings as in the past. 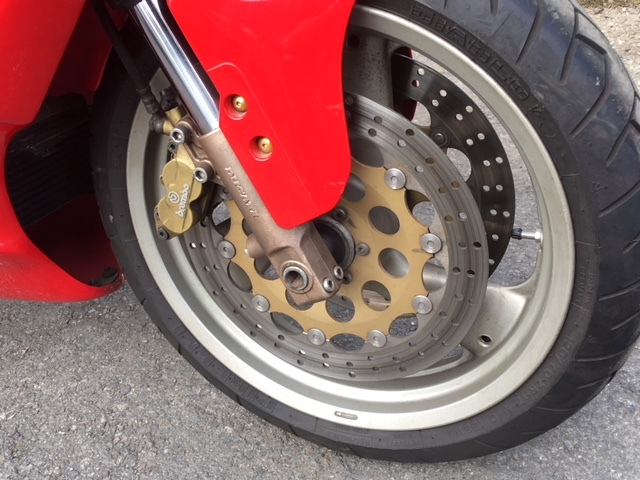 Brakes from the Ducati 851 were used on the Supersport vastly improving braking performance. All new bodywork and a pivoting fuel tank were elegantly shaped. 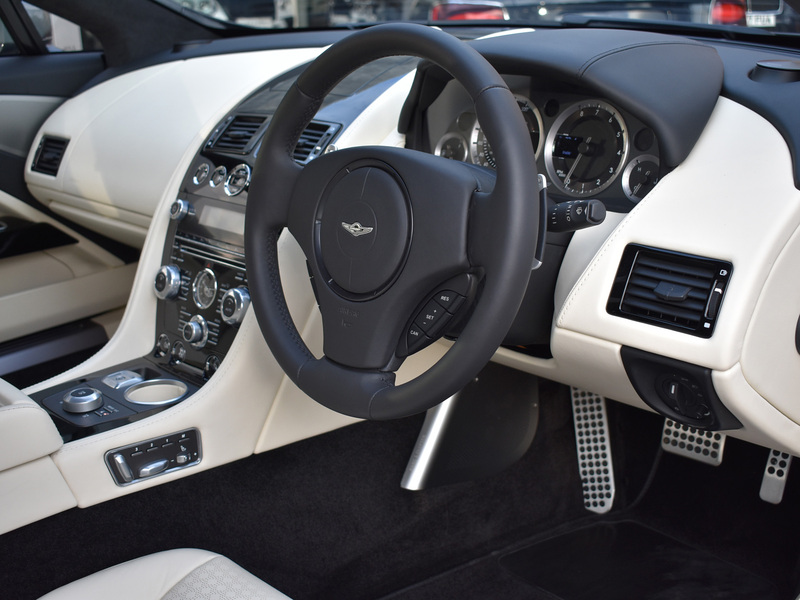 The revised Supersports were met with immediate success and became wildly popular. 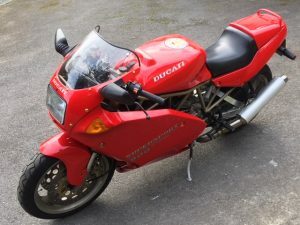 Even though the 1991 Supersport was extremely well developed, Ducati would continue to refine the bike over the years. From 1991 to 1998, the model was called 900SS, and was available with a full (SS) or half fairing (SS/CR). 1992 saw the addition to the SS/SL (Superlight). In 1994, to further differentiate the 900 from smaller Supersports, more models were released in addition to the Superlight. The 900 SS/SP (Sport Production) was offered to the North American market only. This model had carbon fiber fenders and clutch cover, sound damping material, adjustable Showa suspension, and an aluminum swingarm. 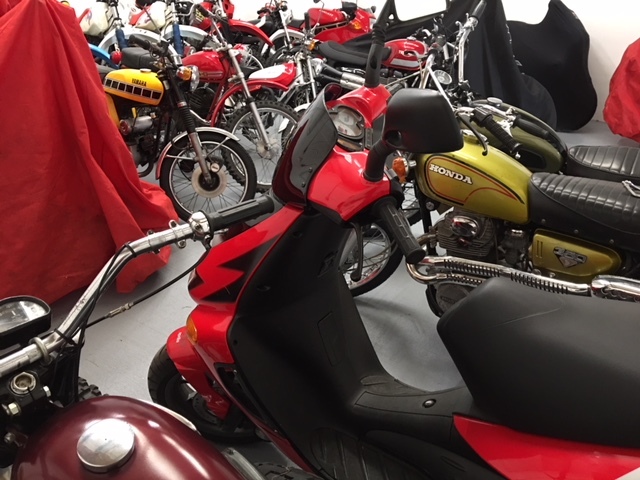 The Superlight had the same options as the SS SP but with a single seat and upswept mufflers. 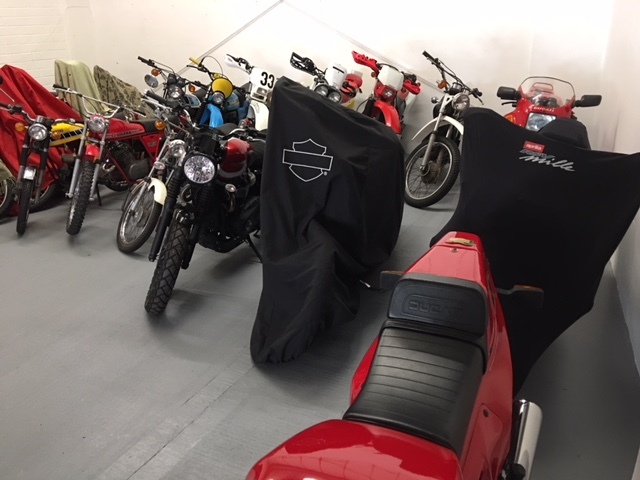 The CR’s came with a non adjustable suspension, a steel swingarm, and a narrower 4.5-inch rear wheel and 160 section rear tire. Many riders feel the aluminum swingarms are more desirable. 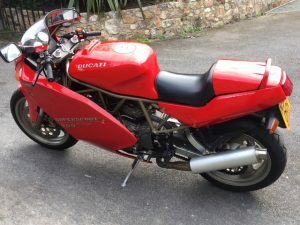 In 1997, as Supersport sales were declining due to the popularity of the Ducati Monster and Ducati Superbike lines, Ducati attempted to keep the model alive with a few final changes. Yellow was added as a color option, an additional air intake was added as well as new, bolder graphics; namely the “Ducati” emblazoned across the entire side of the Supersport body panel. In 1998, only 200 red and 200 yellow SS/CR’s were imported to the United States. 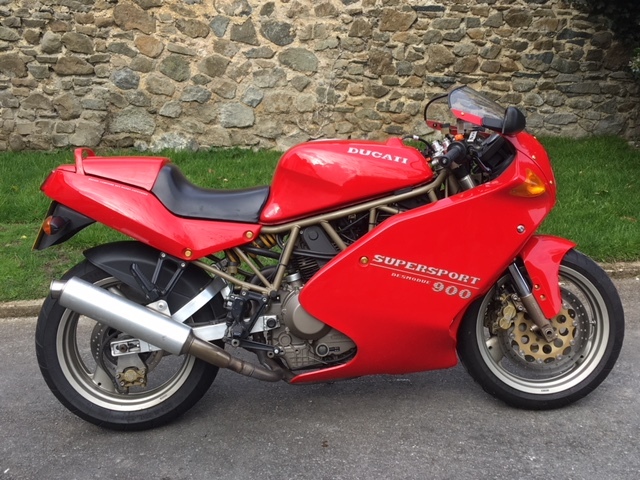 They featured the last of the Cagiva graphics and elephant but had 1998 spec. motors with new pistons, cylinders and lower mounted oil cooler. 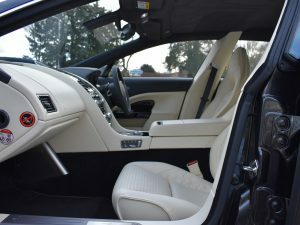 A final series Supersport the SS/FE (Final Edition) was also available in 98, but featured the new Pacific graphics, came only in silver with black wheels, had the single seat and upswept exhausts of the Superlight and represented the last carburated Supersport. 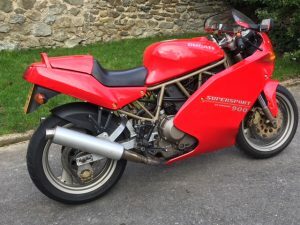 The value of a good Ducati 900SS Supersport has been steadily growing in recent years. This is mainly because the bikes are very good – they handle well, have plenty enough performance and character, but moreover, they are a Ducati and Ducati have the same draw in the motorcycle world as Ferrari in the sports car world. If you have a Ducati in your garage, it has a lot of credibility and it’s a bike you will enjoy owning. Now that the best original mid 70’s Ducati 900 Supersports are being sold for £80,000, these 1990s Ducati Supersports appear to be remarkable value for money. My advice : Buy one now, because in a few year’s time, they won’t be this price. 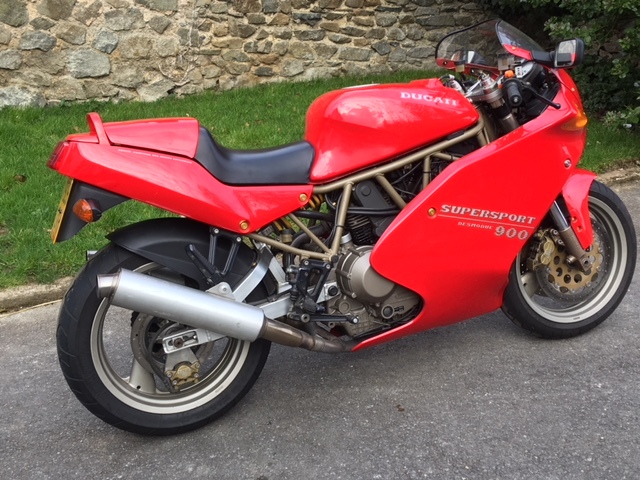 Other Duactis available : 1978 Ducati 900SS Supersport, 1985 Ducati Mike Hailwood Replica MHR Mille – new and unused ! 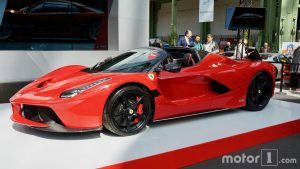 Ferrari LaFerrari Aperta new LHD available in December 2018 – delivery kms, Ferrari LaFerrari Aperta. 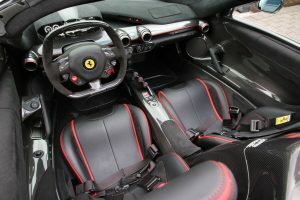 Rosso Corsa racing red with black leather and alcantara trim, piped in red, Prancing horse crests, lift system. Full spec car with carbon roof, carbon lower body, carbon interior pack, carbon diffuser and splitters, silver wheels with red brake calipers and titanium exhaust tips. Full Ferrari Warranty. Unrestricted sale which means immediate use and not confined solely to EU. 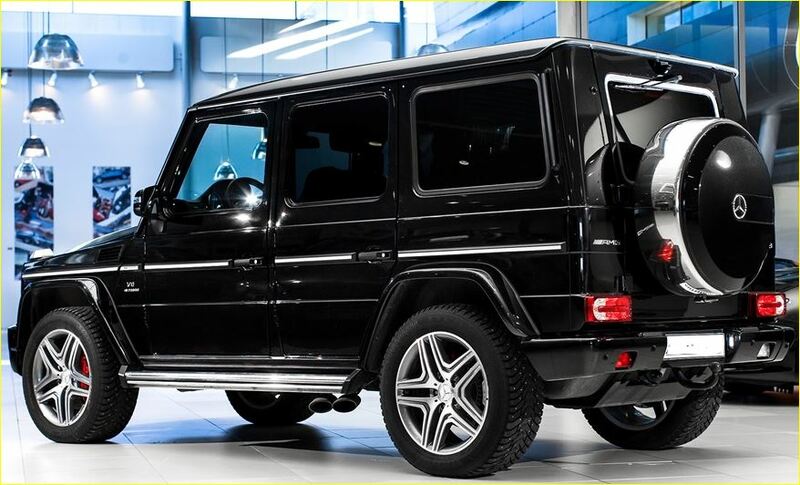 Attractive finance or leasing available with FFS. The LaFerrari Aperta is a limited production version (209 units) of the LaFerrari, with a removable carbon-fibre hard top and a removable soft top. Other changes include more efficient powertrain’s control electronics, re-angled radiators to direct air flow out along the underbody rather than over the bonnet, a longer front air dam to help boost downforce, L-shaped flap on the upper corner of each windscreen pillar to reduce compression on the rear of the cabin in the absence of a roof, different butterfly door angle with different wheel arches and a new carbon fibre insert allowing the doors to rotate. The vehicle was unveiled in Paris 2016. 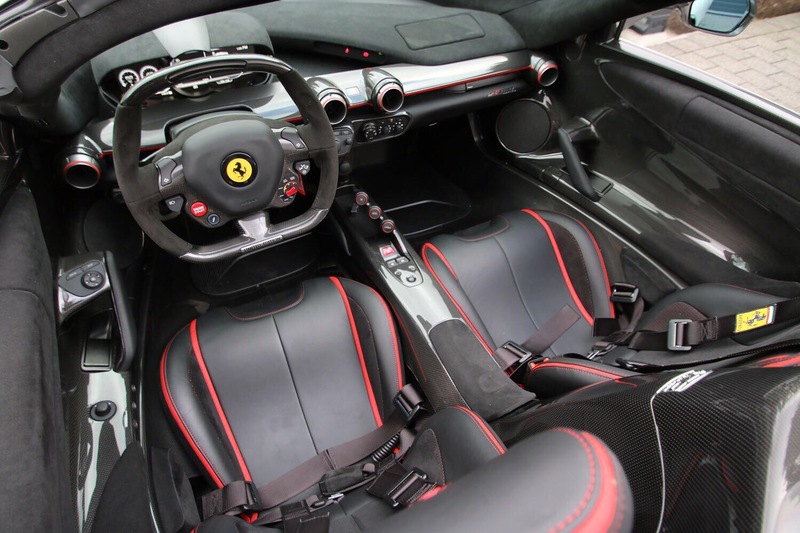 Like past convertible Ferrari models, it uses the Aperta label to denote its retractable roof. 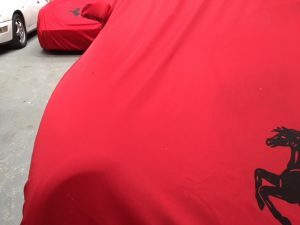 According to Ferrari, all units have already been sold to customers via exclusive invitation. LaFerrari is the first mild hybrid from Ferrari, providing the highest power output of any Ferrari whilst decreasing fuel consumption by 40 percent. 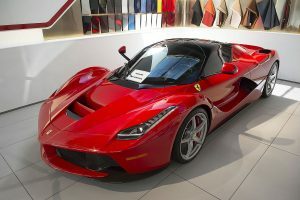 LaFerrari’s internal combustion engine is a mid-rear mounted Ferrari F140 65° V12 with a 6.3-litre (6262 cc) capacity producing 800 ps (588 kW, 789 bhp) @ 9000 rpm and 700 N·m (520 lbf·ft) of torque @ 6,750 rpm, supplemented by a 163 PS (120 kW; 161 bhp) KERS unit (called HY-KERS), which will provide short bursts of extra power. 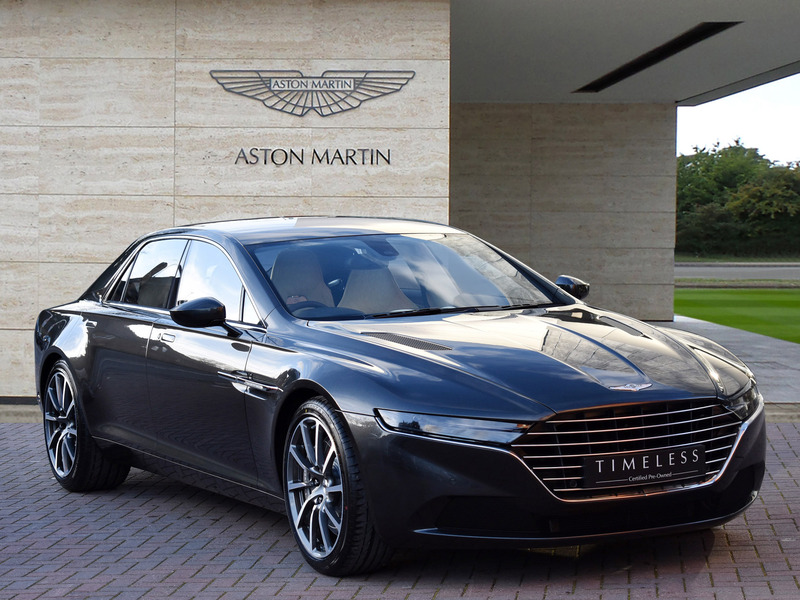 The KERS system adds extra power to the combustion engine’s output level for a total of 963 PS (708 kW; 950 bhp) and a combined torque of 900 N·m (664 lb·ft). Ferrari claims CO2 emissions of 330 g/km. The engine’s bore and stroke is 94×75.2 mm with a compression ratio of 13.5:1 and a specific power output of 94 kW (128 PS) per litre. It is connected to a 7-speed dual-clutch transmission and the car is rear wheel drive. The car is equipped with carbon-ceramic Brembo discs on the front (398 mm) and rear (380 mm), with the car sitting on Pirelli P Zero Corsa tires measuring 265/30 R 19 and 345/30 R 20 respectively. 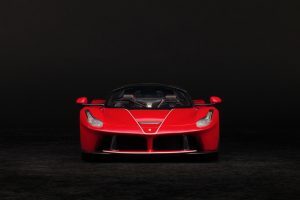 Ferrari LaFerrari Aperta uses a carbon fibre monocoque structure developed by Ferrari’s F1 technical director Rory Byrne, with a claimed 27 percent more torsional rigidity and 22 percent more beam stiffness than the Enzo. 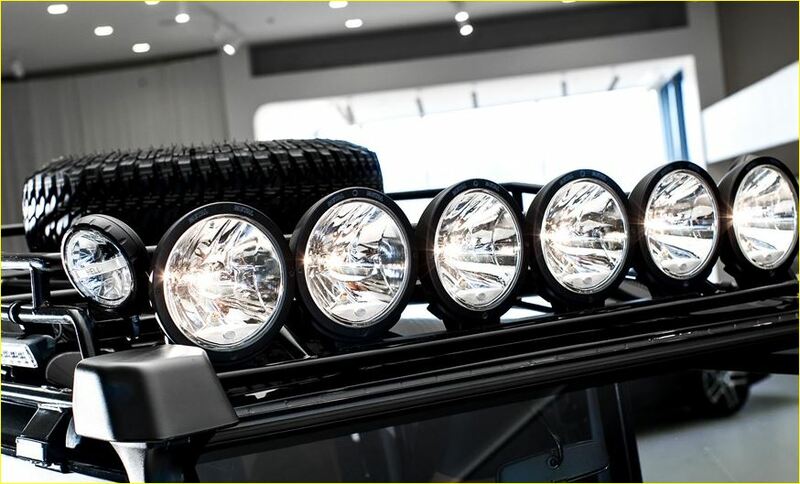 It has a double wishbone suspension in the front and a multi link suspension in the rear. LaFerrari has a number of electronic controls including ESC, high performance ABS/EBD (anti-lock braking system/electronic brake distribution), EF1-Trac F1 electronic traction control integrated with the hybrid system, E-Diff 3 third generation electronic differential, SCM-E Frs magnetorheological damping with twin solenoids (Al-Ni tube), and active aerodynamics to enable maximum performance. 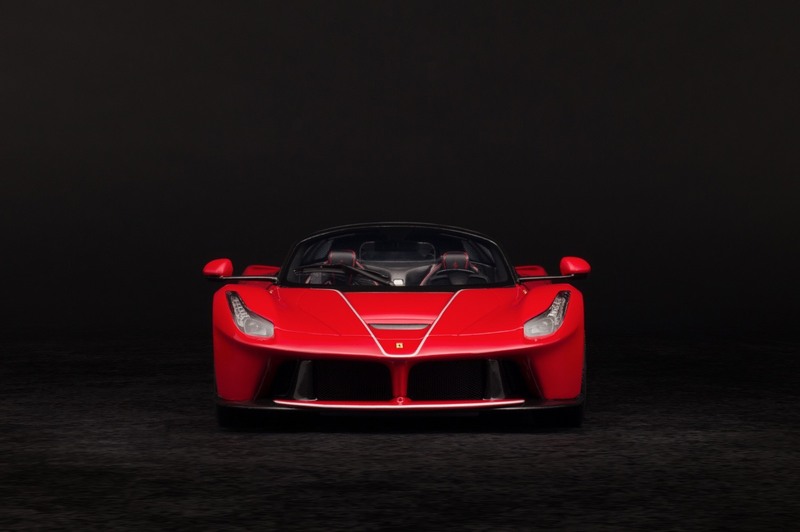 Ferrari states that the Ferrari LaFerrari Aperta has a top speed exceeding 217 mph (349 km/h), similar to the Enzo’s top speed, however, it is capable of reaching 100 km/h (62 mph) in less than 3 seconds, 200 km/h (124 mph) in under seven seconds, and a speed of 300 km/h (186 mph) in 15 seconds.Ferrari also claims that the car has lapped its Fiorano test circuit in 1:19.70 which is faster than any other road-legal car Ferrari has ever produced. FOR FURTHER INFORMATION, PLEASE CALL 07785 355 378 OR FROM OVERSEAS +44 7785 355 378.